Robin Robinson, US Brand Ambassador Compass Box Whisky Co. tells BourbonBlog.com that the whisk(e)y and spirits community have come out in full force to support a Sandy auction and tasting benefit event this Sunday, Dec. 2, 2012 in New York that he only started organizing three weeks ago! 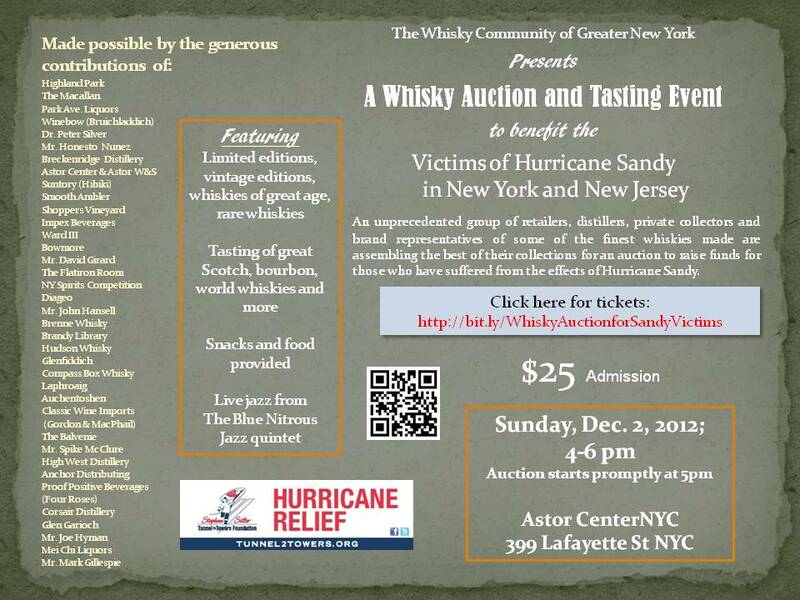 The list of whiskeys including Scotches, Bourbons, up for auction is an enthusiasts dream and all the money directly to support victims of Hurricane Sandy (see full list at bottom of this article). TICKETS: Tickets are $25, must be 21 +, purchase tickets on this link, includes tasting of whiskeys, snacks, food and opportunity to bid on rare whiskeys. 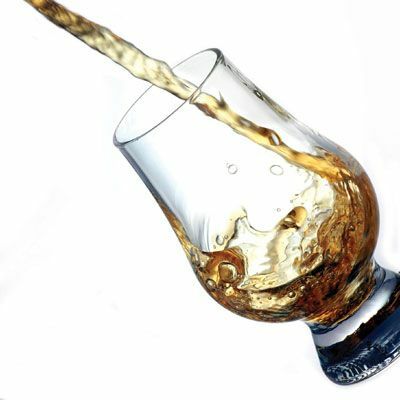 TASTINGS AT EVENT: Brands pouring whiskey throughout the event include Four Roses Bourbon, Breckenridge Bourbon, Macallan & Highland Park and Edrington Group, Suntory, Glenfiddich, Smooth Amlber, Balvenie just to name a few. 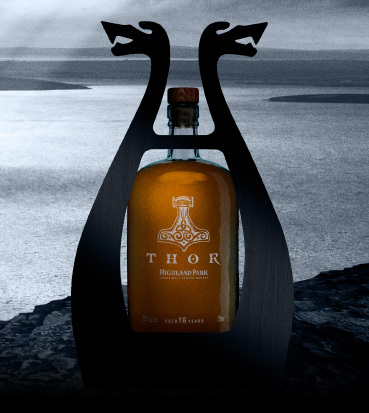 Peter Silver is bringing bottles from his own personal collection. 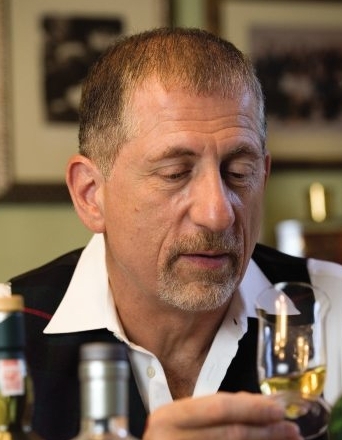 Adam Levy of New York International Spirits Competition, John Hansell and Mark Gillespie will also be there. “First, I felt like something needed to be done for to help victims of Sandy. New York is an area where most of us in whiskey industry do our business at some point the process.” Robinson tells BourbonBlog.com. “Second, I was inspired by John Hansell and an auction he organized at Bonhams. I reached out to Astor Center to see if we could do something on a smaller scaler like that. It quickly snowballed into a success. 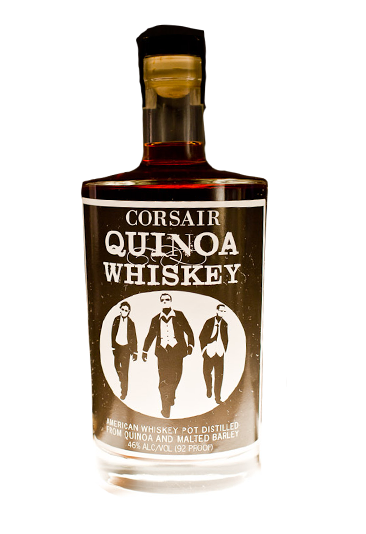 I’m really overwhelmed by the positive response and proud of our whiskey community for stepping up,” Robinson explains. There is a capacity of around 150 people that will be able to attend this historic auction and tasting at the Astor Center, so BourbonBlog.com recommends you purchase your tickets now! You must be present to bid on items, including the 400mL bottle of Gordon & Macphail Mortlach, 70 year old which Robinson says is worth thousands of dollars. 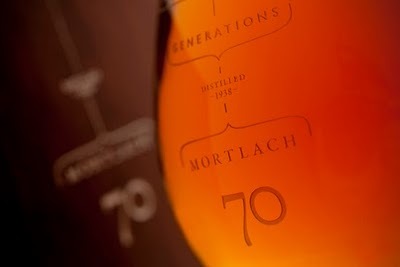 Even though it is only a Mortlach 400 ml bottle and not a full size, Robinson tells us he expects this to be one of the most popular items among the collectors. Many other rare and limited edition whiskeys will be auctioned within one hour. The list is below, come ready to taste, bid and support those in need! Also special thanks to The Whisky Community of Greater New York for presenting this event and Park Avenue, Astor, retailers, distillers, private collecters, brand representatives and everyone who has contributed and supported. 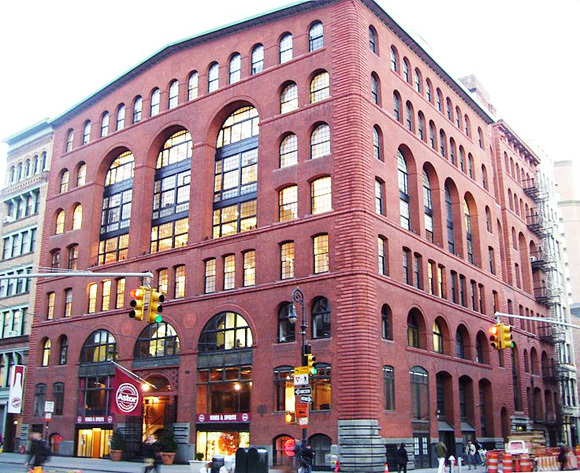 Please share this story with all your friends in New York !